Johnson’s Corner Farm will kick off the apple-picking season with its annual Apple of My Eye Festival on Saturday and Sunday, Sept. 6 and 7. 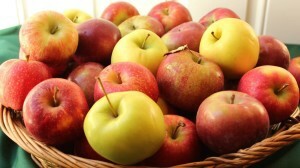 The Golden Fuji and Empire apples, favorites with families in this region, will be available for public picking. The weekend festival will feature fresh-baked apple pies, cakes, breads and crisps, as well as apple-cider slushies and caramel apples. There will be live music and festival food. As an added feature on Sunday, there will be a classic car show with more than 100 classic cars and hot rods. Apple-picking hayrides will run from 10 a.m. to 5 p.m. both days. Hayride tickets are $3.75 and apples are $1.89 per pound. For more information, visit www.johnsonsfarm.com.